As CPG manufacturers face increased regulation, establishing a solid foundation of accurate trade-related data is crucial for them to maintain regulatory compliance, lower operational risk and ensure profitable performance across the enterprise. For the Solo Cup Company, the $1.5 billion manufacturer of single use products, maintaining a reliable data infrastructure for trade management was of primary importance when looking for a TPM provider. Solo set out to find a TPM application that would optimize key functions in the trade promotion process, including liability and profitability reporting, controls, data validation for auditing and compliance and initially selected the TradeInsight® (now AFS TradePro™) trade promotion management solution and went live in October 2008. Allow brokers to enter promotions in time for next year’s planning. After adding deductions in February 2009, by year’s end, Solo tightened its controls, became SOX compliant and had one year of validation under its belt. Feed its new TPM system with vendor data and payments from Solo’s Oracle system along with market, product, deduction, pricing and sales data from Solo’s SAP order management database and COGS data. Have controls in place to validate the data exchange between these source systems, improving business processes throughout the trade management cycle. Create accurate liability reports, which are well received by finance, helping Solo identify liabilities and ensure compliance. Use other key data elements more creatively by developing better metrics and broker scorecards. Provide the most optimal reports to the brokers, broker managers, sales managers, directors, deduction managers and finance department. They all have the ability to drill down and review specific data elements around validations. Effectively recognize, relate and then reconcile all of Solo’s trade-related data across its internal systems in order to improve sales planning and demand forecasting. Solo Cup Company is a $1.5 billion company exclusively focused on the manufacture of single-use products used to serve food and beverages for the consumer/retail, foodservice and international markets.  Solo has broad product offerings available in paper, plastic, foam, post-consumer recycled content and annually renewable materials, and creates brand name products under the Solo®, Sweetheart®, Creative Carryouts® and Bare® by Solo® names. The company was established in 1936 and has a global presence with facilities in Canada, Europe, Mexico, Panama and the United States. To learn more about the company, visit www.solocup.com.